Office 365 and its Myriad of Tools! 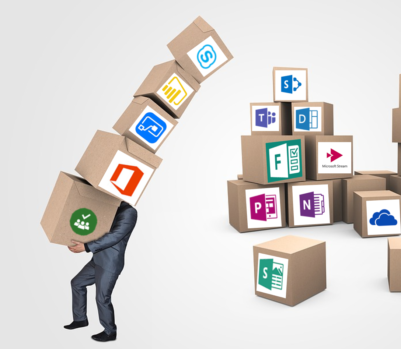 Office 365 has a myriad of products and most companies are using only a fraction of the tools on offer. Microsoft is adding functionality and improving some of the existing apps at a rapid rate – this calls for planning and strategy by us. What has changed and what is new? The best place to learn is at the conference! This year’s Digital Workplace Conference in Melbourne August 15-16 provides you with THE BEST opportunity to look at the capability of some of these tools in more detail. See them demonstrated, get up and personal with the experts who are working with clients every day, talk to other companies on the same journey, and learn what is best for YOUR organisation. To make it simple, we have split a few of the sessions below, into the various apps under the Office 365 suite. GET INFORMED! SEE YOU THERE! for reporting, to analyse business data through interactive dashboards and visualisations. to organise electronic notes, personal, meeting, team notes and collaborate with them. for organising tasks, assignments and managing progress. to create workflows and create mobile apps based on content stored in SharePoint, ODFB and other O365 products. to create video channels for your company to automatically stream content to devices and browsers. to create and share interactive reports, presentations, personal stories, and more. Team (and groups) for team-based conversations and the added functionality of Groups: for Sites, Planner, OneNote, and File Sharing. for automating workflows with Office 365 apps and external systems. to build team sites, extranets, intranets and manage documents for your organisation.